The advanced research journal for publication of nanoscale research advances in nanomedicine and nanobiomedical sciences / nanobiotherapeutics is Applied NanoMedicine. The journal cover all research advances at nanoscale for drug development, drug delivery and understanding biomedical phenomenon at molecular level. Journal is a peer reviewed international journal. The researcher working in the field of nanomedicine (nanodrug development, nanodrug delivery, nanobiomedicals, nanobiotechnology and allied fields) will find the journal a quality platform for dissemination of research output to community and making in new collaboration. 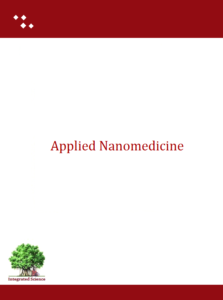 Researcher invited to submit their quality articles for publication in Applied NanoMedicine. The author guidelines and submission details are provided on above link.